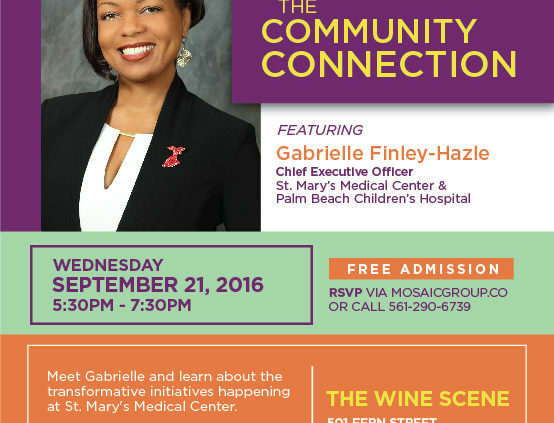 ADDITIONAL DETAILS: The Mosaic Group would like to invite members of the community to join us on September 21st to meet Gabrielle Finley-Hazle, CEO of St. Mary’s Medical Center and The Palm Beach Children’s Hospital. 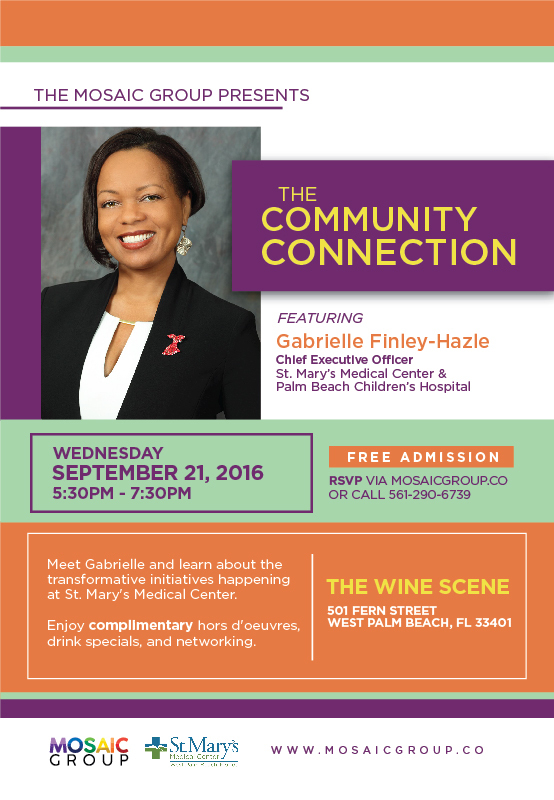 Gabrielle will share with attendees the transformative initiatives underway at St. Mary’s Medical Center. 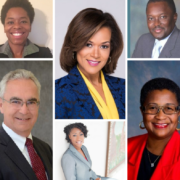 There will be complimentary hors d’oeuvres, drink specials, and networking opportunities. Admission is FREE and open to the public. To RSVP, visit www.mosiacgroup.co or call 561. 290.6739. 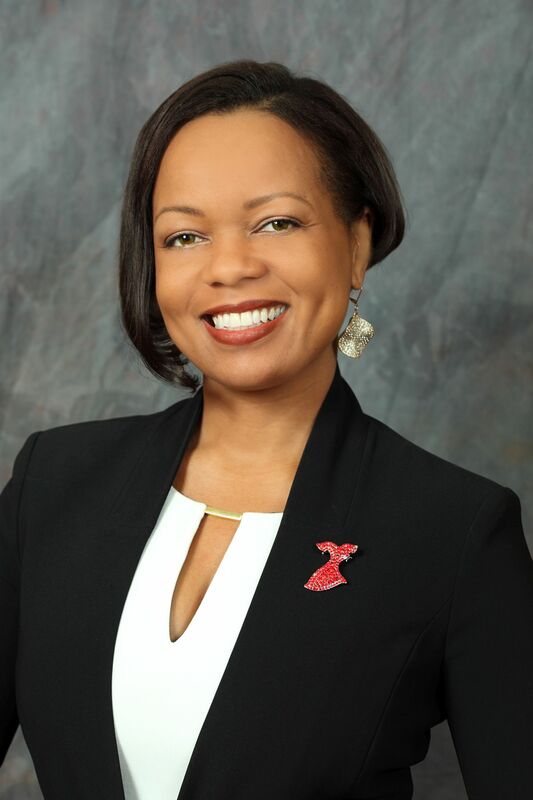 To learn more about Gabrielle Finley-Hazle, download her headshot and bio.